Paul Sailer is retired as a staff attorney with the Federal Trade Commission’s Bureau of Consumer Protection; and as vice president of a computer company. Within the Sierra Club’s Angeles Chapter, he has chaired the Budget Committee, Fund-raising Committee and Outings Section. 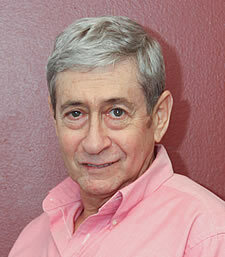 Paul has served as a director of the Angeles Chapter Foundation since 1996. Marc’s love of the outdoors began with the Boy Scouts. 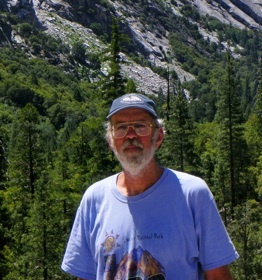 He joined the Sierra Club in the mid-1980’s, but his active involvement with Angeles Chapter began when in 1993 he enrolled in the Wilderness Travel Course. He joined the WTC staff two years later when he became a backpack outings leader. In 1998 he lobbied WTC for the program’s expansion into West Los Angeles and served as its chair. The Chapter has awarded him two citations for his work. In 2001 he was invited to join the National Sierra Club’s Local Outings Support Committee, which he eventually chaired and was involved in the adoption of the National Minimum Standards for outings leaders. 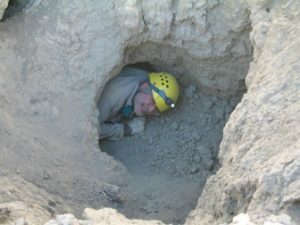 While serving on he Local Outings Support Committee, he was asked to assist the Los Padres Chapter in developing its Wilderness Basics Course and to implement the minimum standards. He currently is serving his seventh year teaching in Los Padres and serving on the WBC board of directors. Prior to his involvement in the Sierra Club, Marc was active in the Alumni Association of the University of California, Riverside. In his spare time he works as an attorney in Van Nuys with an emphasis on estate planning, trust administration and probate. Bill Neill joined the ACF Board of Directors in May 2008. Although educated as a geologist and petroleum engineer, over the past 30 years his environmental interests have been the California Desert and control of invasive species. In 1981 Bill produced and directed a Sierra Club educational film on feral burros in the desert, and he chaired the Angeles Chapter’s Wildlife Subcommittee until 1990. For 15 years he organized volunteer groups to remove tamarisk or saltcedar, from springs and riparian areas throughout the desert southwest. 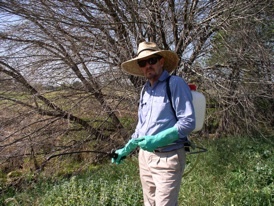 Bill now has his own business, lecturing, training and working to control invasive wildland weeds both in the desert and coastal counties. 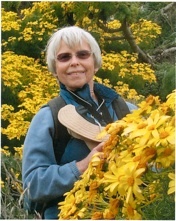 Joan has been a member of the Sierra Club since 1968. A long-time resident of El Monte, she retired from teaching in El Monte in ….. For many years while teaching she served as an outings leader for Angeles Chapter hikes, bicycle rides and ski trips and on the Chapter’s Executive Committee and Conservation Committee. After retirement, she became active with the Chapter political committee where she continues to serve. She has been leading fundraising trips to the Channel Islands for over a decade, with proceeds going to the political program. 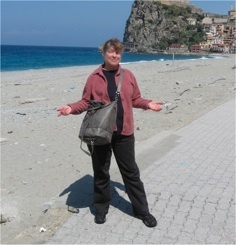 Joan has been the chapter’s most prominent activist on international issues, and serves on the Club’s Global Population and Environment Program Committee, as well as the Trade Team. Locally she has been on the management team for the East San Gabriel Valley Group, taking on many roles, and has been a member of the San Gabriel Valley Task Force since its inception. Southern California native John Lajeuness, as a child in La Crescenta, hiked the nearby canyons of Angeles National Forest and Tujunga Canyon, exploring streams, riparian plant life and admiring waterfalls. A high school biology paper on the limnology (ecology of inland waters) of Tujunga Canyon. 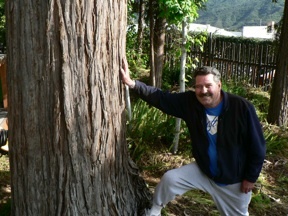 He began a lifelong affair with the natural world. He joined the 20s and 30s Section of the Angeles Chapter in the 1970’s, soon after his return from Vietnam. Before long he was leading backpacks, and other outings, and making them profitable by providing a central commissary; it certainly seemed that members would gladly pay more if someone else did the organizing for them. A few years later, he became active with the Crescenta Valley Group and became a life member of the Sierra Club. He made a commitment to fundraising for the Chapter on a larger scale to raise money for conservation. He has now led over 30 international trips and cruises for the benefit of the Chapter, and has inspired other leaders to take on similar fundraising trips. He joined the Angeles Chapter Foundation board in 2006 after retirement from 38 years employment by Southern California Gas Company. As Foundation Treasurer, he leads the investment team and continues to assist in finding financial resources to help the Angeles Chapter. A Los Angeles native, Carol Henning went to Hollywood High School and worked at a television studio. With two other young employees of Filmways Productions, she wrote scripts for “The Addams Family.” She left show business for academia and graduated U.C. Berkeley with a degree in Political Science. It was the ‘60s, and Carol became active in the anti-war movement. She attended the 1968 presidential nominating conventions as a secretary/gofer for CBS News, then moved to New York City, where she worked for CBS Television Network News as a Press Representative. Impatient with the lack of opportunities for women at the network and desirous of vacations longer than those offered by CBS, Carol returned to Los Angeles. There she co-authored a book about Watergate with an old friend from CBS News, wrote articles for newspapers and magazines, helped edit a trade publication, worked for an educational film company, and went to graduate school at UCLA. Following that, she worked for 23 years as an ESL instructor, mostly at Cal State, LA. Law school beckoned, and she spent four years in the gorgeous library of Southwestern University School of Law, becoming a Juris Doctor in 2006. She is still awaiting appointment as a U.S. Supreme Court Justice or as a judge at the International Court of Justice in The Hague. Meanwhile, Carol is an outings leader for the Sierra Club’s Verdugo Hills Group, a member of the Angeles Chapter Executive Committee, of the Political Committee and Griffith Park Section. In addition to serving on the Board of Directors of the Angeles Chapter Foundation, she is a director for the Windsor Square-Hancock Park Historical Society. 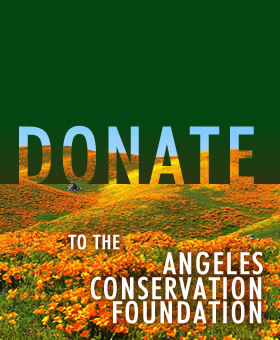 Jeff Yann’s involvement with the Angeles Chapter began in 1981 opposing the expansion of the Puente Hills Landfill into five new undeveloped canyons. After retirement from his engineering career, he chaired the Chapter’s San Gabriel Valley Task Force, created to support then-State Senator Hilda Solis’s efforts to establish the Rivers and Mountains Conservancy. He received the Chapter’s Weldon Heald conservation award in 2000, and then he took up revitalizing the San Gabriel River watershed. The Task Force efforts focused more than $20 million in grants and agency funds to create parks and complete restoration projects in the watershed, carried along through a vision of a connected network of parks and trails along the San Gabriel River and its tributaries now called “the Emerald Necklace.” Jeff also works with the Club’s field office on various projects, and continues his efforts to reduce reliance on landfills for solid waste disposal, and to preserve and restore environmentally significant areas. All board members are volunteers, and serve without compensation.